A silhouette of the Statue of Liberty in New York City. This photograph was taken from the Liberty Island Ferry after a visit to the Statue of Liberty. 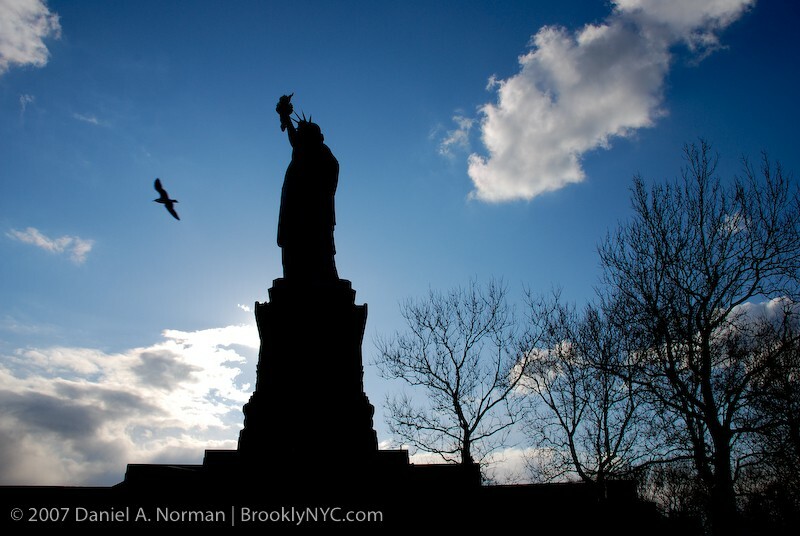 The Statue of Liberty is the ultimate symbol of freedom and one of the biggest icons of NYC. The statue of Liberty is very photogenic and she’s the perfect model for photographers because she never moves. This New York photo of the statue of Liberty was taken from the Statue of Liberty Ferry after of visit to Liberty Island in NYC. The Liberty Island Ferry, the NYC Water Taxi, and the Staten Island ferry, all offer photographic views of the Statue of Liberty. This entry was posted in New York Nature Photography and tagged icon, iconic new york photography, iconic photography, new york photographer, new york photography, nyc, nyc art, SILHOUETTE, statue of liberty.